Written By: Laxmi Prasad Devkota (12 November 1909 – 14 September 1959) was a Nepali poet, playwright, and novelist. Honoured with the title of Maha Kavi (literal translation: ‘Great Poet’) in Nepali literature,and is known as the poet with the golden heart. Devkota is by and large regarded as the greatest poet in the history of Nepal and Nepali language. He was multitallented personalities.He was awarded with the title poet of poet`s for his creative writing skill.Some of his popular works include Muna Madan,”Sulochana”,Kunjini, and Sakuntala. 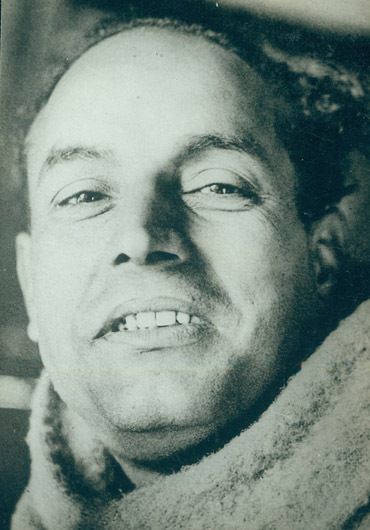 ‘The illiterate’ is a beautiful poem written by an Nepali poet, Laxmi Prasad Devkota. In this poem,he had compared the uneducated/illiterate person with different things, objects and animal. According to him, uneducated/illiterate person don`t understand the value of sun shine because an educated person utilize the energy of sun in different ways but uneducated/illiterate person use sun only to determine the day and night. He has also compared an illiterate person with the wind because the wind flow`s in any direction they don`t have any destinations hence uneducated person don`t have any kind of aim or destinations.They were also compared with vegetables as educated person use them and fill their hunger by giving them laborious work.Uneducated person are unable to make any kind of solution to the problem, they need to ask with the educated person.They don`t have any ability to determine what`s wrong and what`s right even god also feel sad for giving life to such uneducated person.At last Laxmi Prasad Devkota request to the god for forgiving them an opportunity to make educated person. This poem potrays the importance and value of education in our life.The poet explains how a person becomes small and shameful in society if he hadn`t sufficient education like in the poem.He might be telling us that education is the chain, which every person have to wear to get respect with any king of society.Otherwise, educated person utilize their power for their personal benefits and illiterate person may suffer to a great extent.He explains the reality of society how educated person tend to discriminate uneducated person.He explains the role of education in normal life and how education plays an important factor to make life easier and successful. This is a beautiful and inspirational poem with a very important message attached with it presented in well manner by Laxmi Prasad Devkota. Although I agree with the beautiful message of this poem of this poem but I found some parts of the poem really unconvincing and questionable. How a human beings can be compared with dog? Is it compulsory to be educated to earn respect in the society? Do all uneducated persons were discriminated in the society? Is it necessary to be educated to solve any kind of problems? Before reading this poem. I used to think education is just a degree to meet up job requirements.People just go to school,college and university for getting certificates to get job opportunities.But after reading this poem, I came to know the value of education in life.Education is not the thing which we should achieve for the job rather it is the gateway of respect,pride,unity in society.Education plays a great role to make the life of human beings bright.The person without education is same as the fish without water which makes hard to survive in this cruel world.